The 2019 Full Tilt Ascendant is a brand new boot for 2019. For years, people have tuurned to Full Tilt for progressive, infinite flex that won't buckle or fold. But they have been resort bound, rallying chair laps. Their passion lies further - beyond boundaries of the ski hill to those remote pekas and secret staashes accessible only by foot. 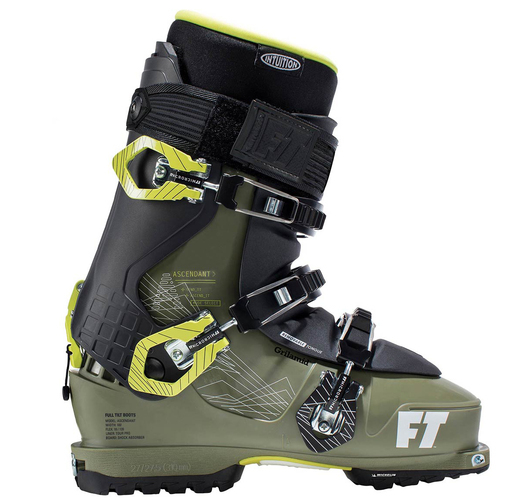 The Full Tilt Ascendant Touring Boot offers tech inserts, a massive range of motion, and the same downhill perfromance you've come to expext from Full Tilt. So push your limits, tour farther, and ski harder than you ever imagined. There's a whole world out there beyond boundaries0it's time to explore.